At TORLYS, we understand the importance of protecting our environment. 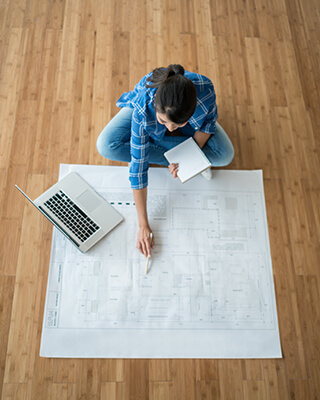 As a CGBC member, we are 100% committed to making our floors as sustainable as possible by fostering good indoor air quality, reducing the use of limited natural resources, and using renewable materials. 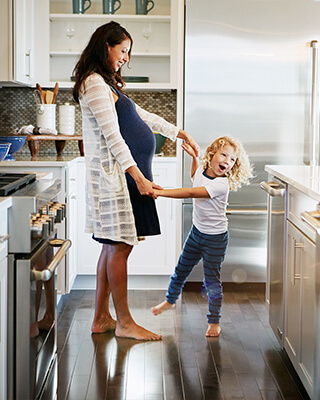 Explore our efforts below to find out why you should be proud of your TORLYS floor. TORLYS takes IAQ product performance very seriously. We have engineered our products to meet the most stringent environmental standards in the world. Internationally recognized Berkeley Analytical Associates of Richmond, California conducted independent IAQ product testing using the State of California Department of Health Services Standard Practice, referred to as California Section 01350. The purpose of product testing under Section 01350 is to reduce and limit emissions of airborne volatile organic compounds (VOCs) with documented chronic health effects in new and renovated buildings. Berkeley Analytical Associates also tested formaldehyde and other carbonyl compounds in air, based on standard test methods developed by ASTM Method D-5197. Lab results are available on request. At TORLYS, we use recycled resources to create long-lasting flooring. We use 100% recycled leather for our leather floors, a process that which reclaims and recycles leather from belts, purses, jackets, and shoes. 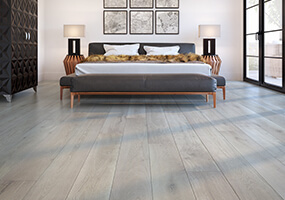 Our laminate floors contain up to 70% recycled wood, plus, their extremely durable construction is long-lasting, requiring less replacement and less material in the long run. 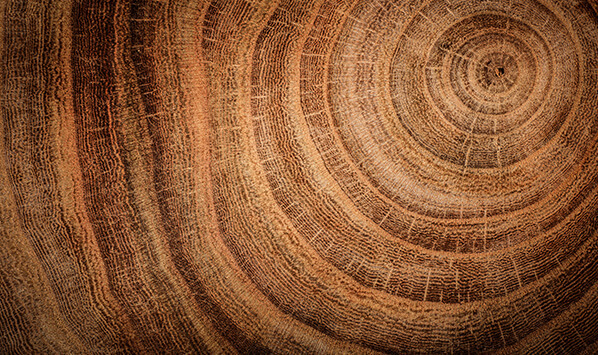 We produce thirty times more hardwood flooring from a single tree than 3/4” solid hardwood. We’ve created our products to be easily reusable, resulting in less production and more money in your pocket. The TORLYS BullDog™ Easy Plank Replacer is a unique innovation that is exclusive to TORLYS and allows you to replace a single damaged plank with ease. The Uniclic® joint eliminates the need for glue or nails. For residential installations, the entire floor can be reused up to three times without harming the joint or the adjoining surfaces. See our warranty for details. 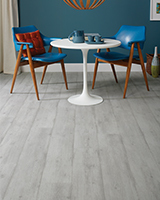 Renew your TORLYS flooring to get the best use of your floors without sacrificing their beauty. 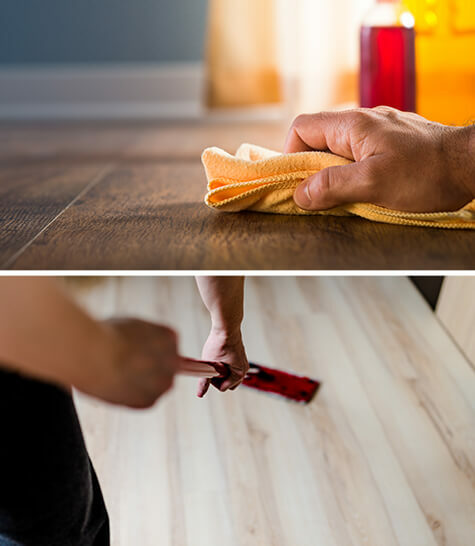 Following our maintenance guidelines will help you rejuvenate the look of your TORLYS flooring for years to come. 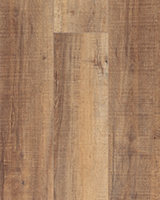 For a renewable hardwood option, consider our TORLYS SuperSolid Hardwood collection. All lines are guaranteed to be re-sandable up to four times. TORLYS standard cleaning products are biodegradable and use naturally sourced hard water conditioners. In keeping with TORLYS corporate commitment to continuously improve its product line, we have introduced a new cleaning product that maintains the above characteristics and goes even further.